Can sprinklers cause water damage? The short answer is, absolutely. Most people think of water damage as being caused by heavy rains from storms, burst pipes or overflowing bathtubs. However, there are instances where sprinkler system problems can cause water damage in area homes. West Coast Restoration Inc is a local, trusted water damage restoration company, and we’ve seen it all. If you are experiencing water damage, call now for swift action. If you have had the interior of your home flood due to a broken irrigation pipe, immediate action is required in order to minimize the water loss to your property. 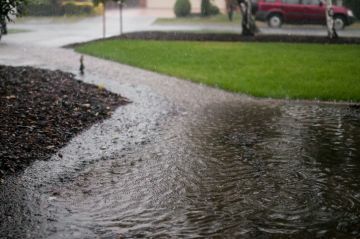 First, turn the water off, then call (714) 584-4894 and the restoration pros at West Coast Restoration Inc will be there in minutes to secure the affected areas, remove any standing water and begin the drying out process. West Coast Restoration Inc will get to work on your water before the water gets to work causing structural damage to your property! If your basement if flooding, regardless of the cause, call (714) 584-4894 ASAP to dispatch the skilled water damage crew from West Coast Restoration Inc.